Determine your glove size from the size chart below. 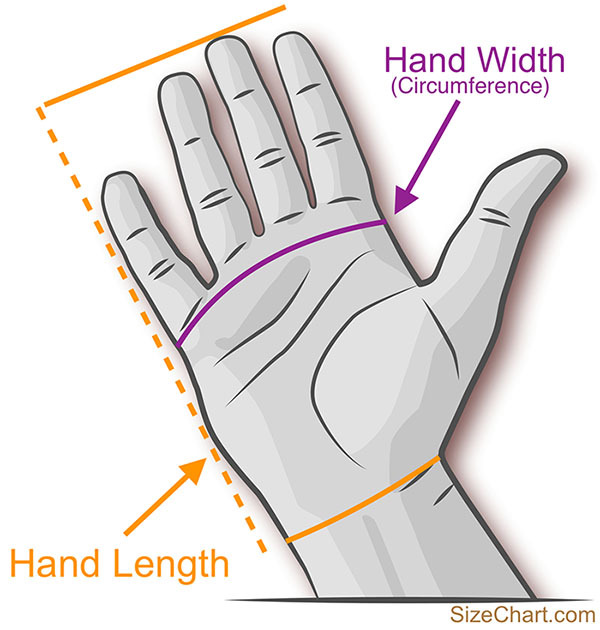 If you get different hand length and hand width sizes, choose gloves in the biggest size. See also Men's US Glove Size Chart.